From School Library Journal: When Hayley Flynn's parents separate, the 12-year-old is sent to live with her grandmother in Mexico for six months. After she arrives, she becomes fast friends with a neighbor, Lili, and the two girls have a series of adventures, including solving a mystery about a ghost and being extras in a movie starring a local heartthrob. But all is not well in San Miguel. Some of the villagers who work in the States as migrant laborers are being cheated out of their salaries and cannot pay their way home. Hayley begins an e-mail campaign that helps to resolve the problem, and the men, including Lili's dad, are finally reunited with their loved ones. Hayley is a refreshing heroine, warm and realistic, who struggles with her sadness about her fractured family and expresses herself through painting. 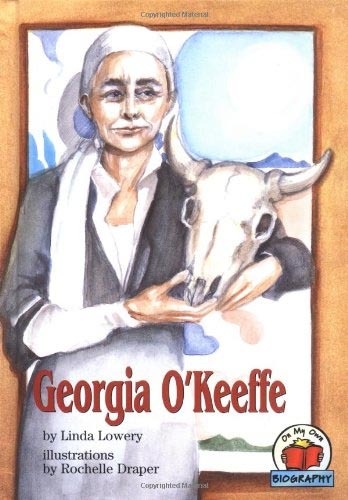 "The writing is engaging, and Lowery has created a strong sense of place through vivid descriptions of local festivals, scenery, and day-to-day life in the town." –Melissa Christy Buron, Epps Island Elementary, Houston, TX. Copyright © Reed Business Information, a division of Reed Elsevier Inc. All rights reserved. "Bold, brash cut-paper collages in bright neon colors illustrate an exuberant rhyme about music and dance--all kinds of dance, from polka and mambo to jitterbug, waltz, and ballet. The pages bounce with play and movement ("Boogie in the bathtub, hula-hula dance, rumba if you wanna, in your underpants" ), and kids will enjoy clapping and acting out the rhythmic beat." This unique rhyming Pictureback® takes young kids through the celebrated routine of trick-or-treating--alphabetically! "Apples dunked in caramel goo, Bats out playing peek-a-boo, Cats come creeping, black and lean. Trick or treat--it's Halloween!" The striking collage-style art in bold colors is sure to be a hit with little trick-or-treaters everywhere. BUY TRICK OR TREAT, IT'S HALLOWEEN! 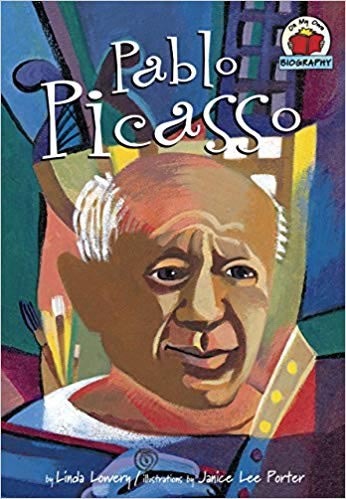 "Both accurate and accessible to upper elementary school students, particularly less than proficient readers, this book's text and painterly, full color illustrations provide a detailed account of Pablo Picasso's life and art. A brief timeline is a helpful feature whether reading for entertainment or research for a book report." -- Parents' Choice. Ever wonder where chocolate came from? We have the Mayan king Kukulkn to thank. Kukulkn is more than a king. He is also a god. One day he brings his people an amazing gift: a chocolate tree! But there is just one problem. Kukulkns brother, Night Jaguar, doesnt want regular people to have chocolate. He thinks only gods should eat the tempting treat. Will Night Jaguar prevail? Or will the Mayans get to keep their chocolate tree? Can you imagine a world without chocolate? 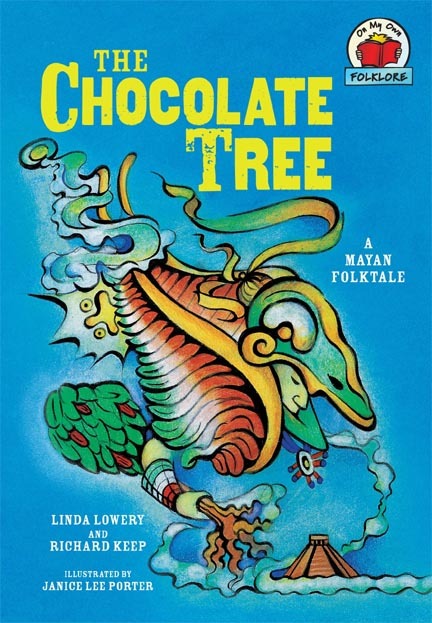 The Chocolate Tree is an adaptation of an ancient Mesoamerican folktale about how chocolate came to all of us on Earth. Set in Chichén Itzá, the story brings to light the struggle between Mayan god brothers Kukulkan and Night Jaguar over bringing “the food of the gods” to mere Earth-dwellers. "It is not easy to write simply well, but Lowery makes this a literary experience as well as a learning one." It’s fiesta time! Cinco de Mayo is a fiesta day in Mexico and the United States. It’s celebrated on the fifth of May. 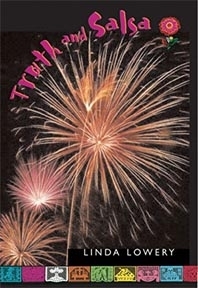 This colorful holiday honors Mexico’s victory over the French army at the Battle of Puebla in 1862. People march in parades, dance, and set off fireworks. Families enjoy traditional Mexican food and drink. Then they watch people act out the famous battle. Find out more about this joyful celebration of Mexican culture. Beware the moonlit river path, the wispy fog along the trail. You may see a woman there, all dressed in white and ghostly pale. AY-EEEE! she weeps. My Children! You will hear her lonely moan. AY-EEEE! AY-EEEE! She hunts you, haunts you, wants you for her very own! A fresh, culture-rich adaptation of the classic tale of Mexico’s famous weeping ghost.